Hey girl, hey, it's TAD day. And it's just the two of us, sharing our truths, in an episode that we meant to do monthssss ago. The original intention was to do an one year anniversary episode and celebrate the abundance of conscious conversation that had taken place. ...... along with the abundance of mistakes! Except a year quickly passed by (funny how that always happens) and we lost track of time. But hey, it doesn't matter if it's been "a year" or three years, we still felt this episode was important and worthy of hitting the record button. So what can you expect in today's conversation? First, we reflect on how this conversation began and what it was like to start a podcast and speak into the mic those first few times. Hint, hint: we had no clue what we were doing and there's a handful of terrible podcasts in the archives. We then share our favorite podcast episodes, both the ones with guests and between the two us, and yes - the Alfie Diaries made the cut! Of course, we share our biggest takeaways and how showing up, speaking our truth, working together, interviewing others, and daring to change has changed us. 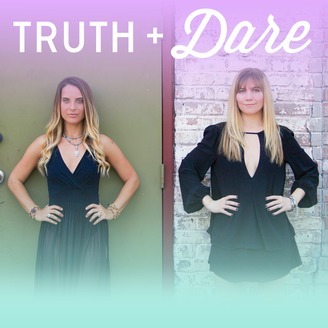 And lastly, we talk about the future of Truth + Dare. Why? 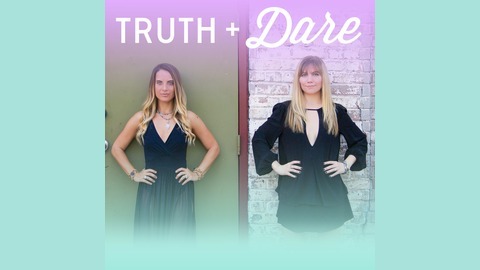 Because come 2019, we have chosen to discontinue recording and take a step back from the Truth + Dare movement. To hear the whole story with all the meaningful context behind our decision, hit that play button and come listen in. We promise, you will understand what led to our decision and also how to relate this change back to you living your truth. And one more thing girlfriend, we are not going anywhere yet. We will still be sliding into your inbox and earbuds for the rest of 2018, so this isn't goodbye yet, but it wouldn't be "truthful" to not share where our hearts and minds are at. Because hello, this is a podcast reflection episode! And with that said, come hang out with us, reflect on past episodes, and learn about what we feel called to do next.